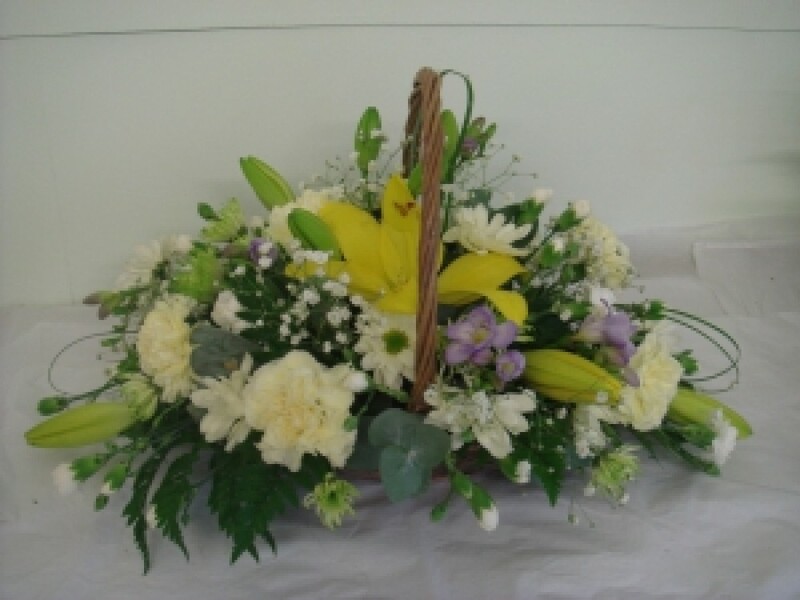 Whether it is Spring, Summer, Autumn or Winter, we will make you a beautiful mixed basket arrangement which will contain the best quality seasonal flowers for the time of year. There will be at least four different varieties of flowers which will be carefully choosen to complement each other. If you have a specific colour scheme in mind, please state this in the special request box.